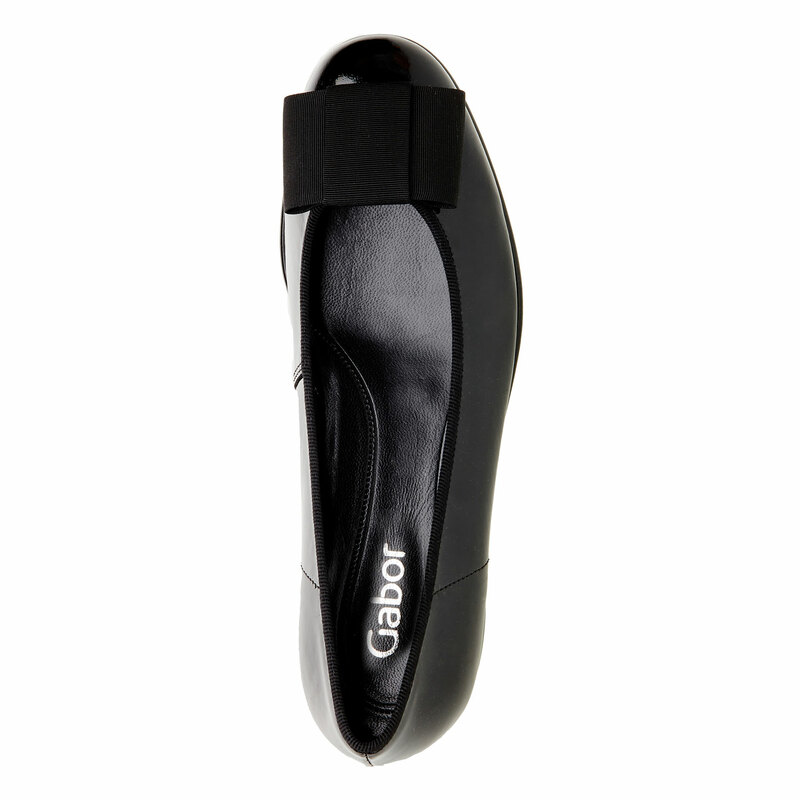 Gabor brand ballerinas with a leather upper and a pleasant soft insole. 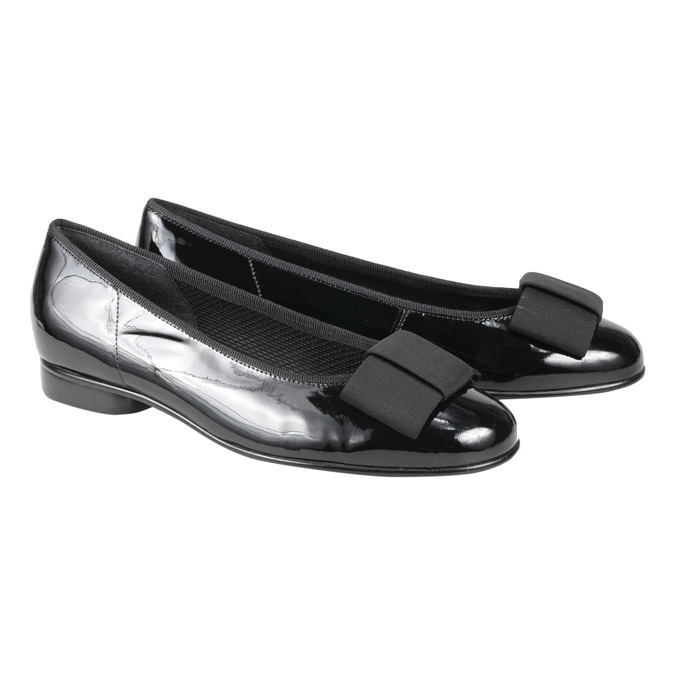 The patent leather adds elegance and the round toe is decorated with a big ribbon. Thanks to their heavy-duty sole and low heel, these ballerina shoes are ideal for all-day wearing.